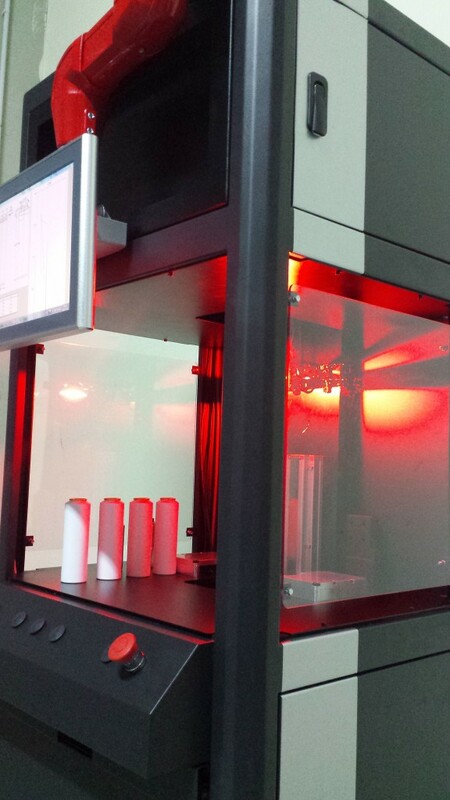 Ari.Tech-CanScann aims to provide a full automatic can scanning and measuring control. The device provides highly accurate 3D scanning and above control vision on the can, along with specifically developed software that allows full automatic dimensional control of cans. The station scans the can and takes its above view. 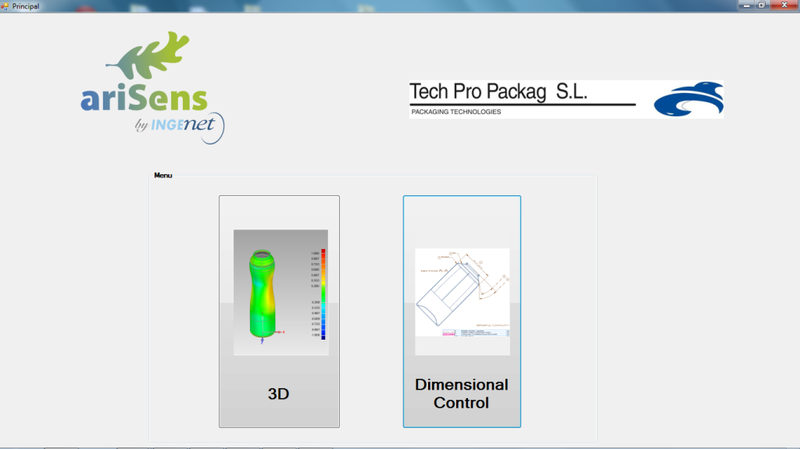 After it automatically constructs the 3D model of the perimeter of the can. Altura de la entrada de la rosca. Dimensional control of multiple parameters. Compared to theoretical value and / or the last measurement. Calculation of wear and volumes. Traceability of mould: Register in the Database of historical previous measurements (3D wear, coats, etc). 3D of other solid measurement: Bottles, Tooling, punch, any solid in general. Ari.Tech can-scann station provides high-speed scanning. The can is identified in the HMI. It is automatically singled out in the database and presets measurements to be made to the can are determined. Can is scanned and a full 3D model is reconstructed. Full dimensional report on the aforementioned can is provided, including full-colour 3D wear assessment. Wear with 3D colored map. Measurement of any shape concentric or non concentric with accuracy and comparation with drawing. Diameters in ALL the perimeter not only on the edge. Objective. It is not linked to worker’s expertise. Traceability. Due to data measurements historic we know its evolution and its lifetime. Speed: Scanned, procurement of 3D of a complete can and issue of an automatic measurement report. Possibility to import CAD from the following formats: IGES, VDA, Neutral, Parasolid, SolidWorks, Catia, NX, SAT Pro / Engineer, PRT, STEP 203/214. Possibility to develop new measurement patterns tailored to each client, as a turnkey solution. 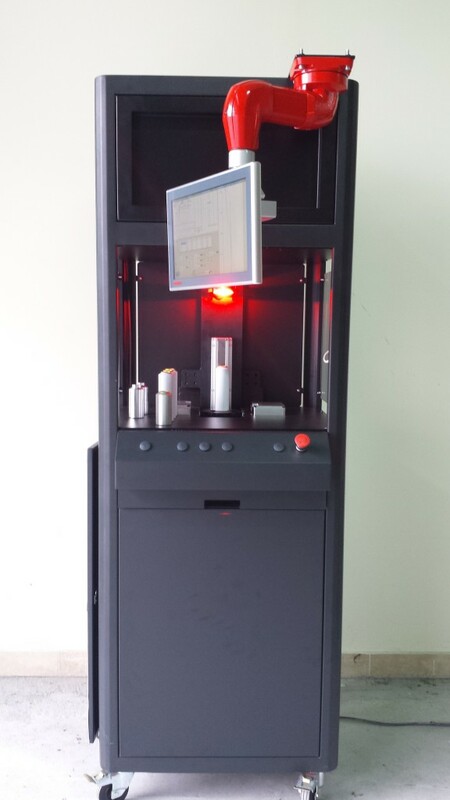 So that it could be made in a fully automated way the scanned and automatic measurement of other parameters, different from the current product capability and the automatic issue of the report with results analysis and interpretation. 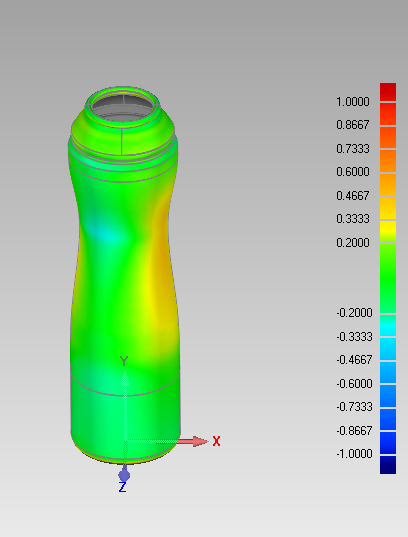 Measuring of bottle capacity at the hot and cold end. 3D scanning. automattic mould & bottle measuring. 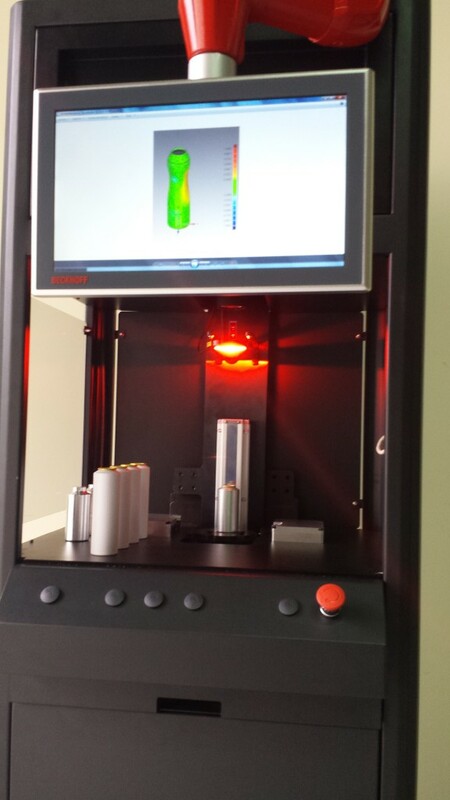 3D scanning and automatic measuring of cans. Production control for packing and packaging of fruit or other elements.